This weekend we have a few open houses – in Fleming Island & in Oakleaf. Please come by and tour these beautiful homes this weekend. We have wonderful agents available to assist you and answer any questions you may have. Come See Lou Kibby At This Beautiful Fleming Island Home! No Cdd Fee’s!!! 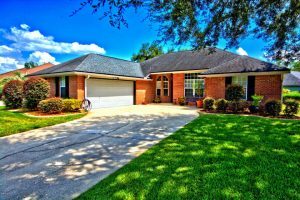 Located in the desirable Oak Creek neighborhood on Fleming Island. This home is a MUST SEE!! And has been beautifully maintained and is great for entertaining. Hard wood floors, and ceramic tile with carpet in bed rooms. 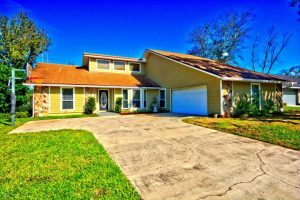 Home has open floor plan with extended patio,with beautiful pavers, patio includes a fire pit and is located on a large corner lot. Come See Holly House At This Beautiful Mandarin Home! Mandarin 3/2 Split floor plan, Parquet, hardwood and tile floors throughout. Living room has vaulted ceilings,stone fireplace and built in surround sound with french doors that lead out to the large covered patio that extends the full width of the home with fenced back yard. Eat in Kitchen large food prep island with breakfast bar. Separate dining room with parquet floor & crown molding. Large master suite with bamboo flooring, updated bathroom, double pedestal sinks and large shower. AC REPLACED IN 2010, WATER HEATER REPLACED IN 2015. BACK ON MARKET! 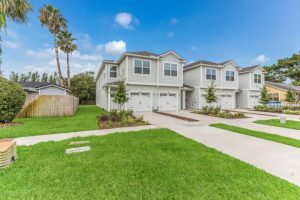 Beautiful, brand NEW Construction town-home in Jax Beach within walking distance to the ocean, public parks, and local restaurants! Nice wood-look tile floors throughout the common areas with carpet in the bedrooms. Gorgeous granite counter tops, white cabinets and stainless steel appliances in the kitchen. Spacious master bedroom with tray ceilings. His and hers sinks in the master bathroom, with over-sized garden tub and glass enclosed walk in shower. Don’t let this one slip away, come take a look today! 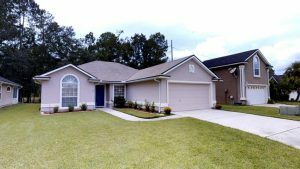 MLS# A well kept home at the Fleming Island Plantation Golf community. It is a 3/2, open floor concept. Near all amenities and in the heart of Fleming Island. The home is one of the greater school districts. On the Open House, Snacks will be provided and 2 gift card raffle. Call Clara at 904-401-4780 for more info. MOVE-IN ready former vacation property in excellent condition. Occupied a couple weeks out of the year. Close to schools, shopping, restaurants, and entertainment. Kitchen features matching stainless steel appliances, plenty of storage, and large large island with breakfast bar. Relax after a long day in your enclosed patio or take a soak in the large garden tub. Access to pools, clubhouse, tennis courts, and more. There will be a gift card drawing the next day!! Come see this stunning like new home that has the right location on a wooded preserve lot, beautiful upgrades, and a gated community with tons of amenities. Spacious floor plan that includes a convenient 3 bathrooms, 4 bedrooms with a bonus office, plantation shutters throughout, vaulted ceilings, gorgeous wood floors, stylish white privacy fence, a large loft on the 2nd floor, and a fabulous kitchen with loads of cabinet space. 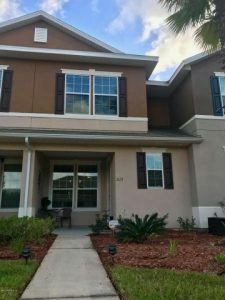 This quiet neighborhood has a club pool, playground, sports fields, and quick access to the Oakleaf Village Shopping and Dining. Beautiful walking paths with the sunset make the perfect way to end a long day. Come see why so many people are moving to The Preserve at Two Creeks to experience resort style living!!! You’ll never want to leave!